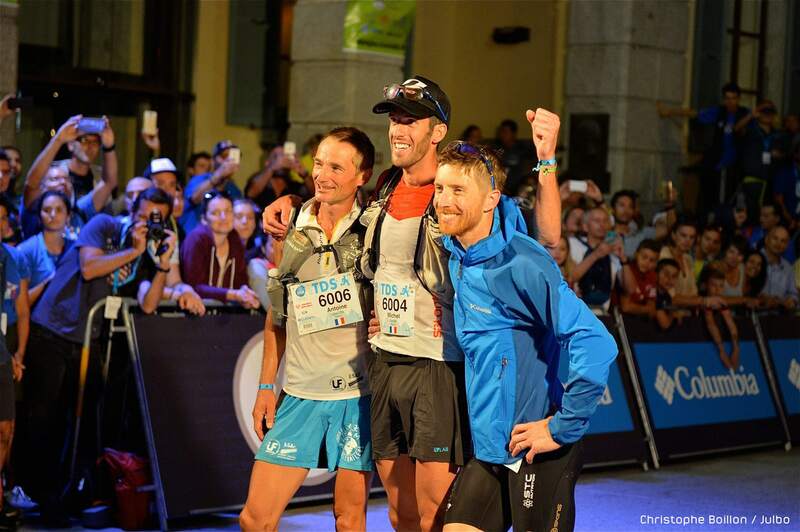 What a race in 1' hours and 33 minutes Michel Lanne won the TDS at Ultra Trail du Mont-Blanc. We took a little time to chat with him the next morning. Check out his interview below! Michel Lanne – The free mind. 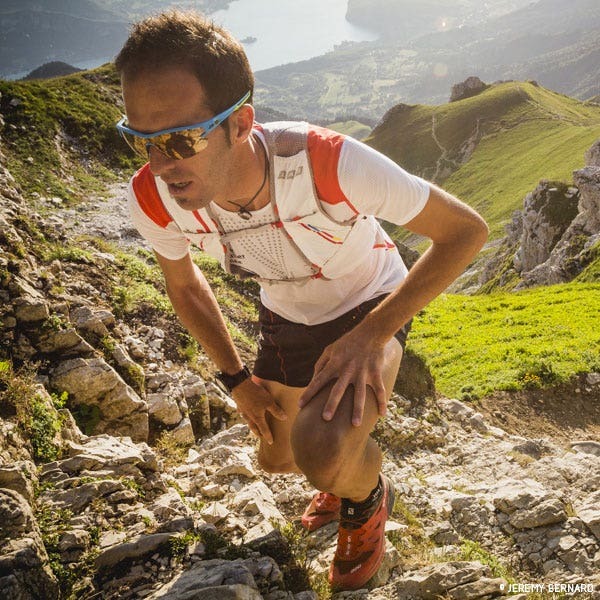 Born and bred in Pyrénées (mountains in the south of France at the border of Spain), Michel Lanne is an unsual runner. He used to hate running and took part in his first race on a bet with his father. He just won TDS (119 km / 7200 m+) this wednesday august 30th after he won CCC in 2016. Talk about a bet which lasted! It seems like you had all your race under control! Hmmm no! (Laughters) I had my share of ups and downs. When I reached "Passeur de Pralognan" after a grueling 2000m climb from Bourg Saint Maurice, I thought my muscles were about to explode. It was painful and the racing was tight. I managed somehow to go beyond this physical and mind game and found a good pace again. Then in les Contamines, just before food station, there was a flat part on tarmac. I think I fell asleep somehow on that... like my mind shut down because it was easy and needed no focus. At the food station I was unable to speak. I think I did not even notice that Mathéo (Jacquemoud) was there... Sorry dude! (Laughs). Then back on real trails my focus came back and it was all better. At col du tricot did you know how much advance you had? Yes, thanks to my father who texted me. I could see the messages on my watch. You know when you lead, people at food station or anywhere on the race can't tell you how far behind the others are. So it was cool to have these informatioin from my father. Then, from there to les Houches, I ran fast. I wanted to set my race, the rest you already know about it! This morning was hard, wasn't it? Yeah... well some people from a certain sunglasses brand took me to drink beers all night long... so I don't think there was a "morning" today (laughs). Anyhow I was not able to sleep. All the rush from the race... I think it will take me a good week to recover and being able to walk normally!! Beer, burgers and rest is your program for the next days? Exactly, I love to eat and I didn't manage to eat well during the race, I wasn't hungry therefore I have a few meals to catch up!! Other than running, what do you do for a living? I work as a mountain rescuer in the PGHM. I'm always in the mountains, it's always been that. My job is a succession of unplanned events. You never know how it will be. You have to accept the environment, the elements, whatever the mountrains throw at you. I think it teaches you to be open minded, it helps to take a step back and think about life. Would you say that, from your job training, you have an advantage compared to other runners? I think so. Rescue operation can last for days and in through tough conditions. So running at night with a headlamp is something I'm quite familiar with. I manage to enjoy all types of weather. How do you cope between work, training and racing? I work full time. We have a team based in Annecy, we are a very united team. I don't have a special timetable for training. I don't see myself going out of the group to train, it would affect the harmony. Anyhow, I don't plan my training. No training plan? Surprising when you see others paying attention to every detail! I tried, I tried... but the formality of a training plan doesn't suit me. I go with my feelings. Moutains are a pleasure, trail running is a bonus. If I had to choose I'd rather have a stable job. You know, I almost felt guilty when I didn't respect the plan my former trainer had for me. My life is made of unexpected events, you can be called anytime to go for a rescue. Having a meticulous training plan doesn't match with my lifestyle and the way I see things. Your motivation is pleasure, then! How many races a year, do you please yourself? 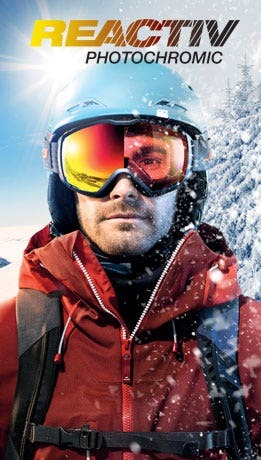 You've been with Julbo since 2013? Yep that's right, I got in touch with Lucie (Author's Note: our sport marketing manager) at the time. We hit it off. 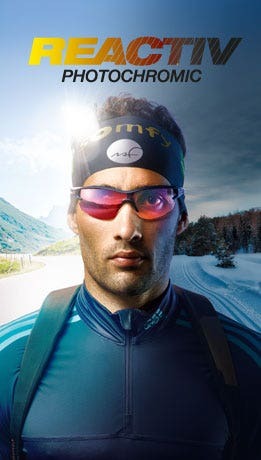 I felt Julbo was a brand which spirit suited me well. I still remember the AERO photoshoot with Jérémy Bernard at the Tournette (a summit above Annecy) the backpack for the picnic was heavier than the backpack with the cameras and gear (laughs).